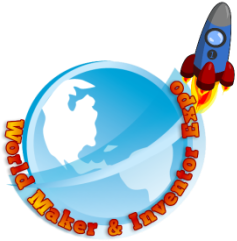 Schools, Community Members, and Vendors are all invited to display booths at the 2019 World Maker Expo!!! Please click the appropriate button below to register your organization. Prior to the event, you will be asked to share the number of student/adult workers for your booth, and bracelets will be sent in advance for each person. The deadline for registering a booth is Friday, April 12th! Please register your organization, school, or project on or before this date to ensure you will be able to join us for this incredible day of all things maker!